Salem Baptist Church hosts the African American Culture Center's budding muscicians program. The camp began June 7th and ends on the 12th. 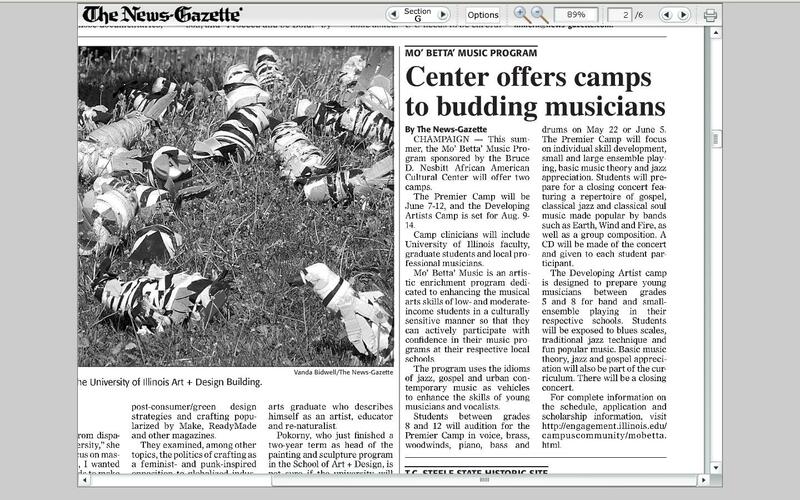 The Developing artist's camp another program from the above mentioned sponsor starts August 9th and ends on the 14th. The camp is for low and moderate income student. 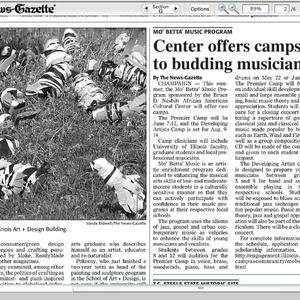 “Center offers camps to budding musicians,” eBlack Champaign-Urbana, accessed April 18, 2019, http://eblackcu.net/portal/items/show/304.